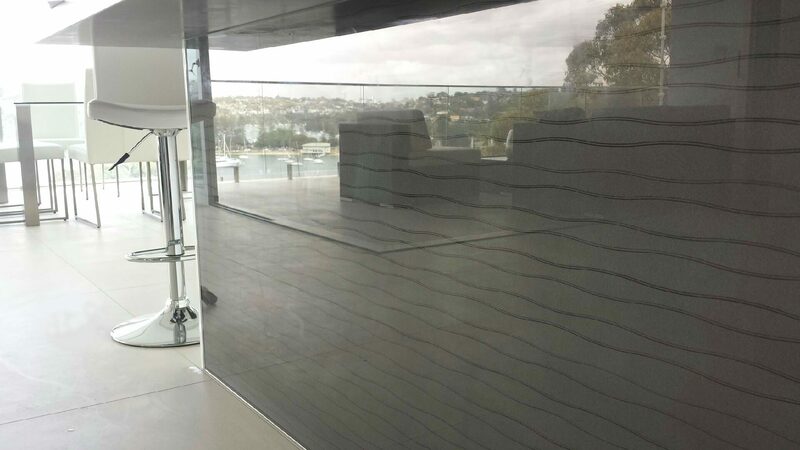 We do a lot of glass work in the Pittwater area, and our glaziers have found that phase glass is the perfect compliment to a water front home. Keep the seaside feel with calming waves, teamed with a subtle and elegant neutral colour. In this home, phase glass was used behind the cook-top, as well as surrounding the island bench. NB: the darker the colour, the deeper the reflection. Charcoal will give you a subdued reflection and softened kitchen splashback.